Physicians learn just about everything they need in medical school, but one essential skill isn't taught in any anatomy or chemistry class that's offered: clinical empathy. It's the ability to understand a patient's plight on an emotional level and to take steps to further facilitate a relationship in the name of well-rounded treatment. "Empathy is the ability to understand a patient's plight on an emotional level." Yet while this connection seems obvious to the success of modern medicine, there is an issue of many doctors lacking basic empathy. Per a 2010 study in the International Journal of Medical Education, many patients have significant difficulties empathizing and trusting their doctors. In an edition of the Journal of General Internal Medicine, Dr. Jodi Halpern expertly explored her experiences with clinical empathy. One of the skills she believes is crucial is associative listening, in which you make connections based on more than what's being said directly. For instance, Halpern discusses a patient who had refused certain treatments. As she attempted to figure out why the patient had made the decisions, she found out her patient's husband had left her just days before. As such, the events of a patient's life inform their interactions with physicians, especially when it comes to word choice and tone, and it's up to doctors to suss this out. That means remembering things that have been said, looking at patient records and approaching conversations holistically as possible. 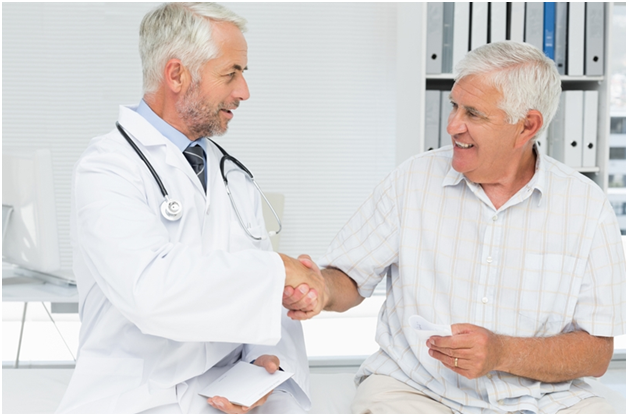 A lot of what a patient may want to actually say can be expressed physically or nonverbally. Effective empathy often centers around how well of a communicator you are. When approaching the issue, the American Academy of Family Physicians suggested that doctors consider a five-step approach to being a better counselor and listener. You can remember this approach with the acronym BATHE - background, affect, trouble, handling and empathy. To begin, you have to recognize what's going on in your own life; this can inform or color your decisions and perspectives. From there, you must understand your own feelings about the patient's issue, no matter what it is. Dive deeper into that and try to understand how you'd feel about a situation and how you might then form some kind of solution. Lastly, you need to show your understanding by making it clear to the patient, even if it's a simple confirmation. According to a study in the Journal of General Internal Medicine, in October 2012, a group of researchers representing several universities came together to ask a very basic question: Can doctors actually learn empathy? As it turns out, empathy can be taught, but it took a very specific course of action. Namely, doctors underwent a series of courses, which involved lessons like looking at faces of varying emotions (sad, afraid, disgusted, happy, etc.) and another involving videos of patient-doctor interactions. Ultimately what these classes teach is the importance of balance with patients, finding a mid-point between emotional issues and the actual medicine. It's also a matter of subtlety for many patients, as even basic gestures like eye contact and extended visits can make a huge difference.